How does one get into this program? Selection of athletes to the team will be based on both rowing performance/potential and a written application. Potential applicants should visit the "Apply" section of our website to download an application. Leading candidates may be invited to either visit or Skype for an interview to ensure that Arion will be a good fit for the applicant. Why is there a written application - why not just take the fastest rowers? ARION aims to offer top-notch coaching, training and accommodations while also offering participants a meaningful non-rowing experience and meeting the mission of its host, the Saratoga Rowing Association. It will be important that participating athletes see the value of this approach and have interests or skills, outside of rowing, that will make them a valuable member of the SRA community effort. Think of this as a job application - because in a way, that's what it is. One part of the "job" will be training effectively and rowing your fastest; the other part will be making a meaningful contribution to Saratoga Rowing Association and the community. The Saratoga Rowing Assoc. was founded in 1996 as a non-profit organization with the following mission: To strengthen our community by promoting the sport and culture of rowing, fostering excellence and integrity in our athletes, and growing Saratoga as a premier rowing destination. SRA will be providing housing, some meals, coaching, part-time work, and some internship support. Who is the target audience for this program? ARION is designed primarily to fill the gap that exists after collegiate rowing, and serve as a bridge from collegiate racing to national and international level competition. Most rowers won't reach their peak performance levels until their mid-late 20's, yet it's hard to graduate from college and tell your parents that you're "just going to train" for the next 3-5 years. 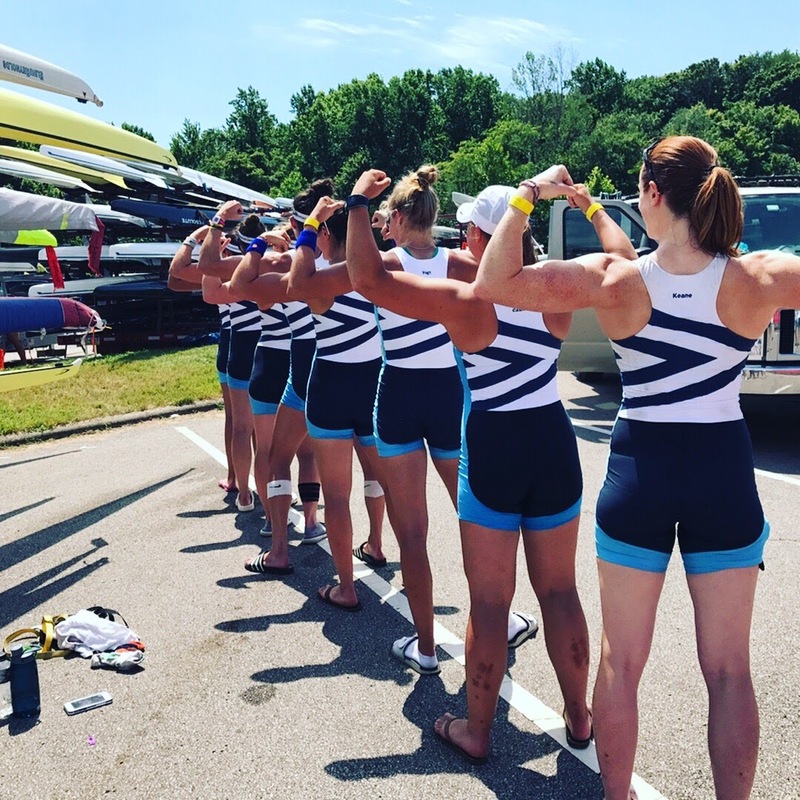 This program hopes to provide a long-term training situation that also allows an athlete to develop and use other skills, specifically those related to the mission of the Saratoga Rowing Assoc, on a part-time basis. The athlete may not have time to earn a lot of extra money, but with housing and most meals provided along with the rowing supports, at least they have a chance to keep their heads above water. One does not become a faster rower overnight. It's generally at least a 3-5 year proposition and thus requires a long-term commitment, with periodic review to be sure the goal is reasonable and the progress is good. This program is ideally structured to review and assess transitions on a 2 year rotating cycle with the ability to renew for an additional cycle. Because much of the commitment to SRA is based on coaching responsibilities, athletes are expected to commit through each season of high school rowing (with the exception of any call to join a national team) but the program remains at the discretion of both parties at all times. Will rowers be paid for the part-time work, or is it an unpaid expectation of the program? Program participants will be expected to do a certain amount of work for the SRA in exchange for their lodging, meals and coaching. There will be the possibility of working additional hours for take-home pay either at SRA, or at area businesses, as time allows. With prior approval, community service may also count toward some of the work requirement, coaching local sports teams, or volunteering for other non-profits. What will the work opportunities be? The majority of the expected work includes coaching the young athletes of Saratoga Rowing Assoc, some caretaking of facilities, and helping with regattas. Opportunities for paid work will include coaching masters programs, private and group tutoring, coaching corporate rowing sessions, and helping with other non-rowing programs. Additionally, athletes will be encouraged and assisted in matching up with local companies for internships inside their desired future careers. What does Saratoga Rowing Assoc offer in terms of training facilities and opportunities? SRA is located at the opening of Fish Creek into Saratoga Lake. The creek is a very protected 5000 meters long and the lake offers several miles additional rowable water when the weather cooperates. For several months of the year, Fish Creek is home to a 10 lane 1500 meter fully buoyed race course, and a 6 lane 2000 meter race course. For indoor facilities, SRA offers 2 training facilities on either side of the river, each is stocked with weights, C2 ergometers, Spin bikes and treadmills. The outdoors, however, is where you find the true beauty of Saratoga. Just 3 miles out of town, the roads quickly become rolling hills of farmland leading to the mountains of the Adirondacks. Running, Biking, Hiking, Cross Country Skiing are right outside the door and top notch. Athletes will be regularly coached by SRA’s Executive Director and Girls coach Eric Catalano and guest coached regularly by some of the country’s top coaches. Eric’s coaching history includes the US Junior Women’s Developments teams in the middle 2000s, Radcliffe lightweight women 2004-2007, the 2011 Junior World Championships US Junior Men’s 1x, and the 2013 U23 World Championships US Women’s 2-. Do I need to know how to scull? No! Both sweep rowers and scullers are welcome to apply. You will be introduced to sculling and it may be included in your training but it does not have to be your primary focus. SRA has a fleet of equipment of all sizes to accommodate all sorts of training. You are also encouraged to bring the shell you have been training in prior to coming to Saratoga. Yes, the lake does freeze in the winter. In a typical year it will be frozen from December until April. Apart from standard indoor training and Cross Country Skiing, time will be dedicated for southern trips for a good portion of the winter. What is the expected housing arrangement? Athletes will be housed in the brand new athlete dorm 5 minutes walk from the boathouse. There is space in this new building to house up to 10 athletes in dormitory style rooms with a community kitchen, living area, and a brilliant 2nd floor deck overlooking the lake. Is there any social life in Saratoga? Saratoga is an extremely vibrant small town and was recently named as one of the most picturesque towns of NY state. It is home to the Saratoga Performing Arts center, Skidmore College, the Saratoga Horse Racing track, and more restaurants and bars than you can possibly visit in a year. The downtown of Saratoga revolves around a “main street” feel, but venturing out a bit you find movie theaters, public pools in the state park, golf courses, sailing clubs, and pretty much anything horse related.